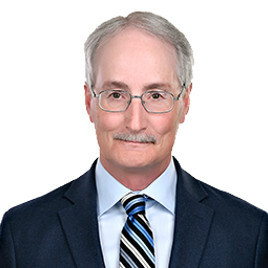 Christopher Reil is a partner at Williams Litigation Lawyers and has over 30 years of litigation and mediation experience. Mr. Reil joined Williams Litigation Lawyers in 2003. He Devotes his practice to civil litigation, including personal injury litigation, and has represented diverse institutional and individual clients — Always balancing risk management with a focus on results. Other counsel often refer clients to Chris due to his expertise and his unique experience having worked as in-house legal counsel with a major insurance company. He is respected for his ability to isolate the key facts in a case and apply relevant law to resolve disputes. He also possesses the crucial ability to synthesize large amounts of information — Helping him communicate effectively with clients, opposing counsel and the Court. A team-oriented critical thinker, Chris prepares intensively for every case—and inspires others with his energetic approach to tackling complex problems. Chris Reil and his team employ every legal means to help their clients resolve their problems and achieve the best outcome possible. If you or a loved one has been injured, feel free to contact the experienced Ottawa personal injury lawyers at Williams Litigation Lawyers for a free consultation. Chris can be reached via e-mail at creil@williamslitigation.ca or by phone at 613-237-0520 ext. 231 to discuss your Ottawa personal injury or accident case.